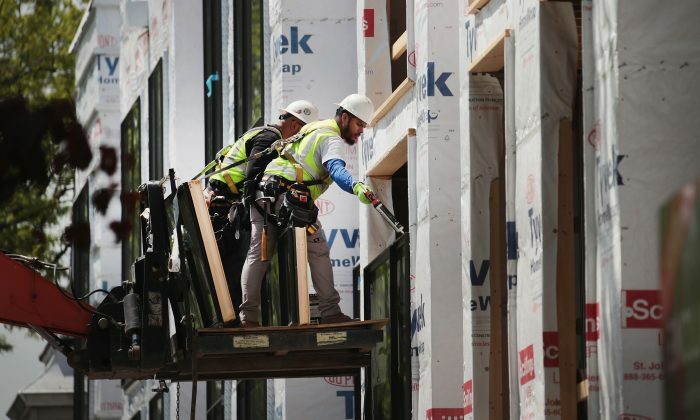 Hispanic unemployment dropped to 4.6 percent in June, the lowest level since the Bureau of Labor Statistics (BLS) started recording the data in 1973. The number has oscillated around the 5 percent mark for over a year, but this was the first time it broke the previous record of 4.8 percent. Overall, unemployment inched up to 4 percent last month, largely due to the expanding pool of people actively seeking jobs. After unemployment dropped to 3.8 percent in May, sparking worries of labor shortages, over 700,000 women joined the labor force in June, thus cooling the job market. These women weren’t previously counted as unemployed due to their not actively looking for work. The economy added 213,000 jobs in June and BLS also revised up employment growth for April (159,000 to 175,000) and May (223,000 to 244,000) expanding the number of employed by 2.4 million over the past year. President Donald Trump ran for president with a promise of reviving the economy and the results so far look to boost his agenda for the Nov. 6 midterm elections. Black unemployment remains around historical lows (6.5 percent) after repeatedly breaking records over the past year. Asian unemployment increased to 3.2 percent from an extraordinary 2.1 percent in May. White unemployment remained stable at 3.5 percent. The historic Hispanic unemployment number was all the more noteworthy due to the more than 160,000 Latinos that joined the labor force that month. Unemployment figures don’t include jobless people not in the labor force, or those who haven’t sought a job over the previous four weeks. There are over 94 million people over the age of 16 in the country who don’t work and are currently not looking for work, mostly because they study, are ill, retired, or homemakers. But, among them, there are over 5.6 million who’d like a job, according to the BLS. For decades, the country had suffered from a shrinking labor force as many Americans, especially men, gave up on looking for jobs. In the 1950s, about 97 percent of men between the age of 25 and 54 years old participated in the labor force, meaning they worked or were actively looking for work. By 2013, that percentage dropped to about 88 percent, staying around that figure until the end of 2015. The percentage had risen a bit since then, but only broke 89 percent in recent months. Tapping into the potential pool of those who have given up looking for work, the job market seems to still have room for improvement. Bringing people back to the workforce was also one of Trump’s campaign promises when he announced his candidacy on June 16, 2015. “We have people that aren’t working. We have people that have no incentive to work. But they’re going to have incentive to work, because the greatest social program is a job,” he said in his announcement speech at Trump Tower.